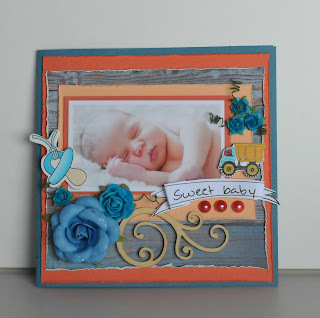 This is a precious layout - such a beautiful picture surrounded by adorable embellishments. Thanks for sharing with us at Colour Dare and we hope to see you enter again! What a beautiful baby! You have embellished the photograph so beautifully. Thank you for playing at Color My Heart Color Dare #279. Beautiful layout! Thank you for joining us at Color Dare.